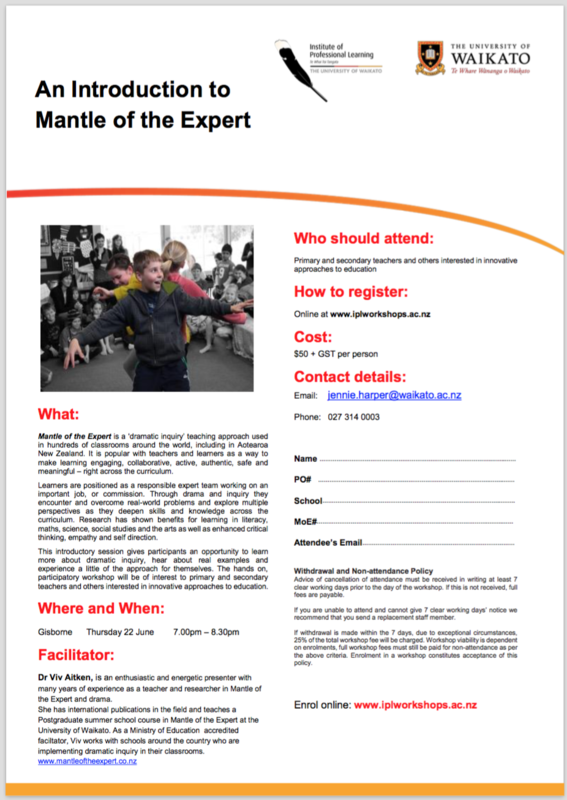 The Institute of Professional Learning at the University of Waikato is hosting an Introduction to Mantle of the Expert session in Gisborne on Thursday 22nd June. Details are on the attached flier. I’m delighted to be taking this session to Gisborne, where there’s a fair bit of interest thanks to colleagues from the area doing great work with dramatic inquiry in their schools. Please spread the word to anyone you think might be interested in attending. Cost is $50 per person.